This past Tuesday (March 20, 2018 to be more precise) may have been the first day of Spring, but if you happen to live in the Northeastern United States, you would have never known it. Philadelphia and South Jersey experienced temperatures ranging from 28 to 35 degrees on that day along with a wintery mix of rain, sleet, and snow. And if all that weren’t enough to make you question what day of the year it was, the Wednesday forecast called for the fourth Nor’easter of the month that threatened to shut everything down. With an almost definite “snow day” looming for our offspring and a potential day off from work for us, we decided to brighten our mood (while we’re not opposed to taking a day off from work, we prefer when these days off are on OUR terms, not Mother Nature’s) by sampling the two beers from Kona Brewing Co that you see in the above photo. The hope was that by drinking these beers, which may or may not have been brewed on a tropical island in the middle of the Pacific Ocean (in addition to breweries on the Big Island, aka the island of Hawaii, and Oahu, Kona Brewing also brews beer in Portland, Oregon and Portsmouth, New Hampshire), things like a possible Nor’easter induced power outage, a backlog of work when we get back into the office, and hours of shoveleing snow would get pushed back into the dark recesses of our minds as we enjoyed these bottles of “Liquid Aloha”. The first Polynesian explorers ventured out across the South Pacific in double-hulled canoes driven by the wind. With their sails held taught against the blowing ocean breezes, they sped across the ocean and steered north, to Hawaii, bringing a courageous spirit and mastery of the trade winds to their new island home. Today, adventure flies just offshore at Kanaha Beach, on the north side of Maui. Among the best kite-boarding sites in the world, you will see colorful domed kits lifted high over the blue water and soar in view of the West Maui Mountains. Skilled kite-boarders hover lightly above the water as they glide fast behind their sails, mastering the wind for a thrilling ride and adventure all their own. Appearance: Crystal clear with a golden yellow color. Not much in the way of foam or lacing, just a thin bead of white suds that clings to the inner walls of the glass. Limpd: Sweet and fruity (more peaches than mango) with just the slightest note of hops and a little bit of bread. G-LO: They claim that they added tropical mango to this beer. Based upon all of the tropical aromas that I get, I am apt to believe them. There are definite citrus (tangerine and grapefruit) and tropical (most likely mango) notes coming through. Also get a hint of piney hops, some doughey yeast, and some biscuity malts. Limpd: Lightly carbonated (almost a little flat). The aroma would suggest some heavy sweetness but this was far from syrupy. While I picked up the sweetness and a little of the fruity notes, there was a metallic (almost coppery) note that cut some of the crispness. G-LO: The mouthfeel is a little thin with very soft carbonation. I get some of the tropical flavor, but they’re a bit watered down which makes sense given that the label says this beer has just 99 calaries per serving. There’s just a bit of hoppy bitterness overall, and the finish is relatively crisp and clean with not much lingering flavor. 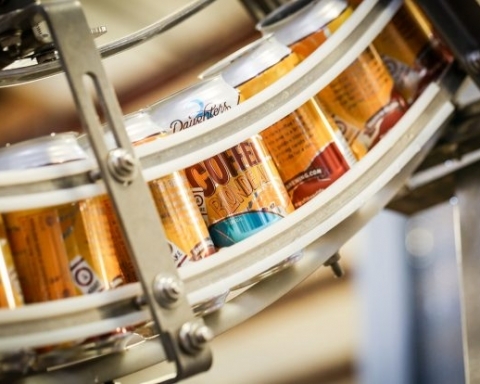 Limpd: This would probably be a good change-of-pace beer for those hot summer nights. Unfortunately, I am drinking this when there are 10 inches of snow on the ground. I thought it was a little too soft and not quite bold enough for the weather at hand. G-LO: While the nose on the Kahana Blonde Ale was very inviting, the actual taste left much to be desired. I understand that they were going for a warm weather session beer, but I’m generally not the “drinking beer all day” type, so I need more intensity since I prefer to drink less, but drink better. Ages ago, early Hawaiians stood on boards cut from wiliwili trees and paddled them from village to village across the islands. Today, this ancient form of island transit is the best way to get out and experience Hawaii, especially when you’re in beautiful Maunalua Bay, paddling in the shadows of Koko Head and Koko Crater. Whether you’re on the islands or not, kick back with a Koko Brown—it’ll take you right to paradise! Appearance: Auburn color with a healthy cloud of off white foam that lingers for quite awhile. Limpd: Cocoa nibs and coconut. There is a ton of coconut on the nose and it is hard to push beyond it to pick up other notes. G-LO: Lightly roasted malts dominate the nose with definite toasted coconut notes coming through in the background. Hints of brown sugar and caramel as well. Limpd: Thinner than the color and foam would suggest. There is a nice creamy quality but then the coconut kicks in and overpowers the flavors with a candied sweetness. The finish come rather quickly and is filled with the bitterness that comes from the cocoa I had picked up on the nose. G-LO: Medium mouthfeel with smooth and somewhat creamy carbonation. Less roasty than I was expecting. This has a certain nuttiness coming through along with some caramel sweetness. Very mellow overall. Not much in the way of coconut coming through. There’s a little bitterness in the finish, though not at all overwhelming. Mostly just roasted nuttiness and lightly sweet caramel from start to finish. Limpd: I let this one warm up for a very long time (over an hour) so that the chill wouldn’t suppress any flavor. Even after letting it rest for that long, there really wasn’t a lot of depth. It was pleasant enough but lacked some of the complexity that I was looking for after the appearance and the nose. 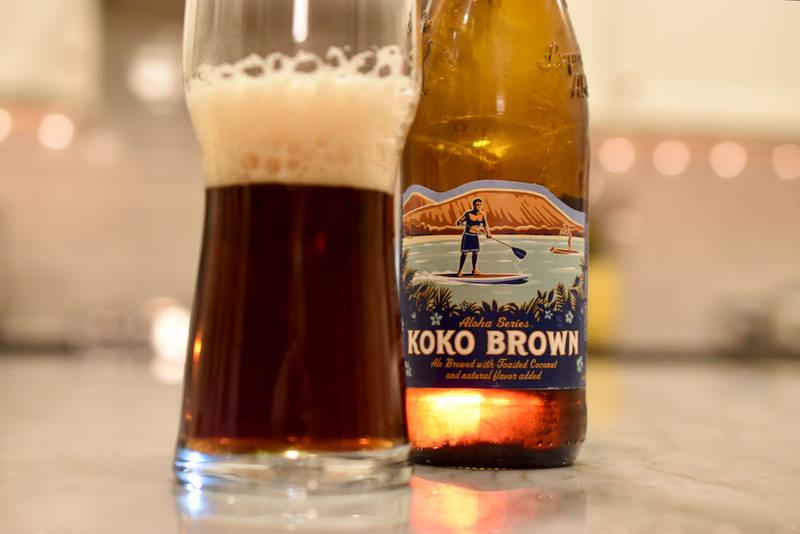 G-LO: While not one of the best brown ale that I’ve ever had, I’d still say that Koko Brown was pretty good. Thanks to its mellow, malty flavors, I can see this working well with a chocolate or nutty dessert, or with something savory like a lamb stew or Shepherd’s Pie. For the record, Koko Brown worked well with an Oreo Thins Coconut Creme cookie. Many thanks to Adam Krell of Curich Weiss for sending use these VERY generous samples! Previous Story Previous post: Why You Should Try a Natural Pain Reliever.